Uppersia Iran Travel blog: Heritages of Pasaragade. Pasargadae, the first capital of Achaemenid Empire located in the well-watered Fars province, which founded by Cyrus the Great in the 6th century BC, is one of the most important UNESCO world heritage sites in Iran. Cyrus is the creator of Achaemenid Empire, stretched from Southwestern to Northeastern Asia, considered as one of the biggest empires the world knows. The Cyrus Cylinder witnesses the humanity based kingdom of Cyrus, respecting human rights and justice. The mausoleum of Cyrus, located in Pasargadae, is a great sample of ancient Iranian architecture expressing authority and precision despite its austere essence. This mausoleum is a simple cubic structure standing on 6 steps, all made of stones. The Royal Pasargadae Garden, another world UNESCO heritage site, is the remains of the first Iranian garden with the original “four gardens” layout which became a prototype for later Persian gardens. 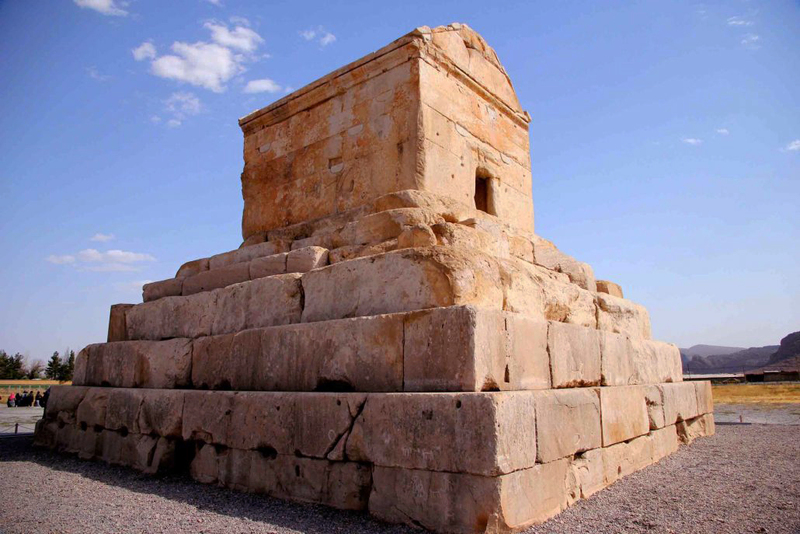 Visiting the ancient Garden of Pasargadae and the glorious Tomb of Cyrus is an experience which Uppersia highly recommends to every traveler visiting Iran.